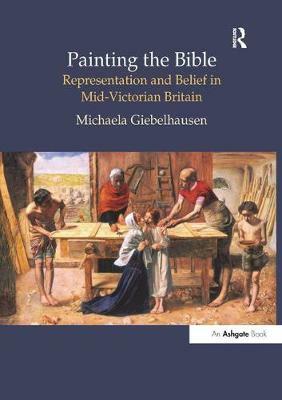 Painting the Bible is the first book to investigate the transformations that religious painting underwent in mid-Victorian England. It charts the emergence of a Protestant realist painting in a period of increasing doubt, scientific discovery and biblical criticism. The book analyzes the position of religious painting in academic discourse and assesses the important role Pre-Raphaelite work played in redefining painting for mid-Victorian audiences. This original study brings together a wide range of material from high art and popular culture. It locates the controversy over the religious works of the Pre-Raphaelite Brotherhood in debates about academicism, revivalism and caricature. It also investigates William Holman Hunt's radical, orientalist-realist approach to biblical subject matter which offered an important updating of the image of Christ that chimed with the principles of liberal Protestantism. The book will appeal to scholars and students across disciplines such as art history, literature, history and cultural studies. Its original research, rigorous analysis and accessible style will make it essential reading for anyone interested in questions of representation and belief in mid-Victorian England.